My original plan for this knee-deep in the season Sunday had been to watch what had shaped as a mouth-watering battle for the ages in Perth. 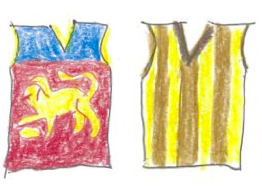 The two form teams promised a show of Ali and Frazier-like proportions and fortunately for me, on the undercard was the Luke Hodge Cup – another chance to watch the skilled yet win-less Lion cubs (aka “The best 0-8 team ever” – talk about a backhanded compliment) for a couple of quarters before the main event. The Hawks had come off a Sydney Swans patented “away game special” on a crisp Autumn’s night at the ‘G and made several changes. Positively pleasant weather conditions for the home crowd loomed as troubling for Clarko’s boys – certainly warm enough to make one think twice about ordering a hot latte with the CEO – it conjured up memories of the Hawthorn team of 1995 who sat down in the shade at three-quarter time 45 points up against Brisbane, only to wilt in the heat…and lose by 7. Omens aside, the game unfolded in a way few could have hoped for. After a slick Hawks kicked four of the opening five majors, the Lions stood up and rose to the challenge. It was a narrow lead that Hawthorn enjoyed at the first short break, but truthfully, the Brisbane players from the half-backline (including Hodge) forwards had ensured that the home side were playing better football/denying the recent triple-premiers the chance to play on their terms. As the second term got underway, the game had become a real arm-wrestle. A breathtaking run up the guts from deep in defence (apparently took all of 17 seconds) involving Zorko, McCluggage and Beams with five minutes to go got the crowd vocal, gave Brisbane breathing room and caused me pause to rethink my plan. The Eagles and Tigers had started and I’d started watching them. While close on the scoreboard, there was a sense of inevitability about the West Coast waves of attack. With the Lions in the sheds 11 points up, I elected to attempt a rare “double viewing” – Brisbane game on the TV, Richmond game on the laptop with an earphone in. Precarity of the situation was to be short lived – I was engrossed in the precise kicking, quick handball chains and accurate scoring game of Brisbane. By midway through the third in the west, the earphone was out and 90% of my attention was on the Lions. Hipwood was magnetic in the forward 50, Cameron seemed to appear at just the right time to enter the nightmares of Hawthorn defenders – very unlucky not be awarded a few more free kicks too. I don’t know what my late grandpa would have made of Matt Eagles’ reality TV audition for a spot in the team – or his hair for that matter – but I like to think he would have been chortling at the running banana from The Recruit that was his first goal. It made me smile. In the pre-game, number one draft pick Cam Rayner spoke to the broadcaster about his desire to help build the Lions into a “destination club” – drawing on memories of their own triple-premiership golden years. Stirring stuff. He talks with a great maturity and hasn’t put a foot wrong on-field either. The ghosts of the “Go Home Five” have been disturbed on occasion (even this year with Yeo in AA form) but there has been a whole-club approach to learning from this period and the early results are promising, with several key young players re-committing to the club this year. 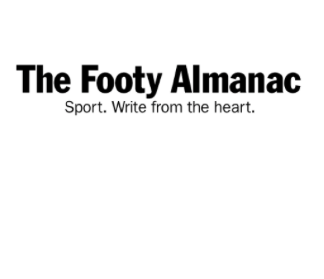 It was the youngsters that did the remarkable against Hawthorn and made it look easy – Andrews, Hipwood, Cutler, Cameron (an older youngster at 23) & Rayner all among the most valuable for the Lions; Zorko “the magician” was also at his dazzling best. Not a bad undercard in the end. Great win by the Brisbane boys, also the fact of Hawthorn losing! However, we don’t want any roaring Lions this weekend! Not to worry Jan, your Swannies are at their preferred venue of “away”, piece of cake. Hope it’s a fiercely contested match either way! Good piece Jarrod. The Lions were on fire while my Hawks were burnt to a crisp. This is another of those games that I will do my darndest to never bring to mind again!